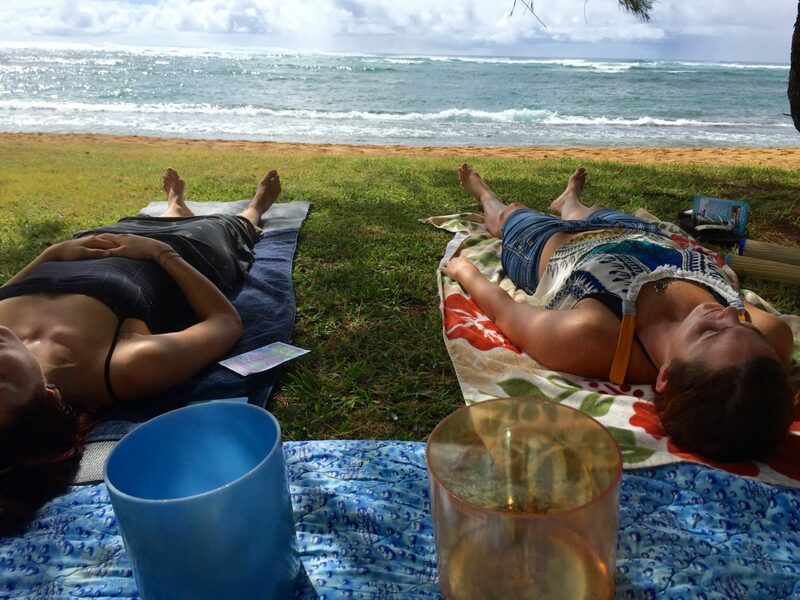 Did you come to Kauai to have a Spiritual Experience? Then, you came to the right place! Travel to a mystical place where one feels very connected to spirit. Learn of the Lemurian Scrolls and the vision of the Satguru. Travel to the Rudraksha Forest. Learn of the tears of Shiva and leave an offering to Ganish. Travel to the arboretum. Mediate in the circle rainbow eucalyptus tree forest. Take a gentle hike into the forest. We end our jurney with a delicious lunch in a lovely restaurant. Preparation: Wear hiking shoes, and need to have your shoulders and knees covered for the temple. Hike up Sleeping Giant and Enjoy a 360 degree view of the island! It is so clear up here you can see whales breaching! Walk into a cave and do a meditaiton of intention. Get the feeling of clarity and peace in nature, far from the sounds of the world. Preparation: Need to be a good hiker and wear hiking shoes and bring water and a snack. Escape to the center of the island and visit the wettest place on earth. See the fairies come alive as their images appear right before your eyes. 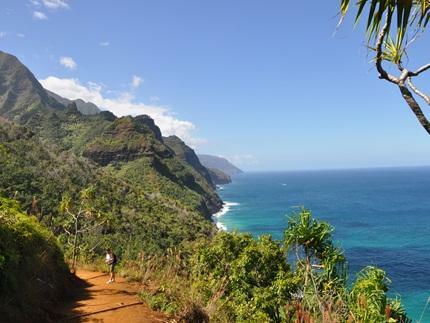 Come play with the fairies and the devas of Kauai. Walk in a lush tropical forest with leaves as big as Jurassic Park! 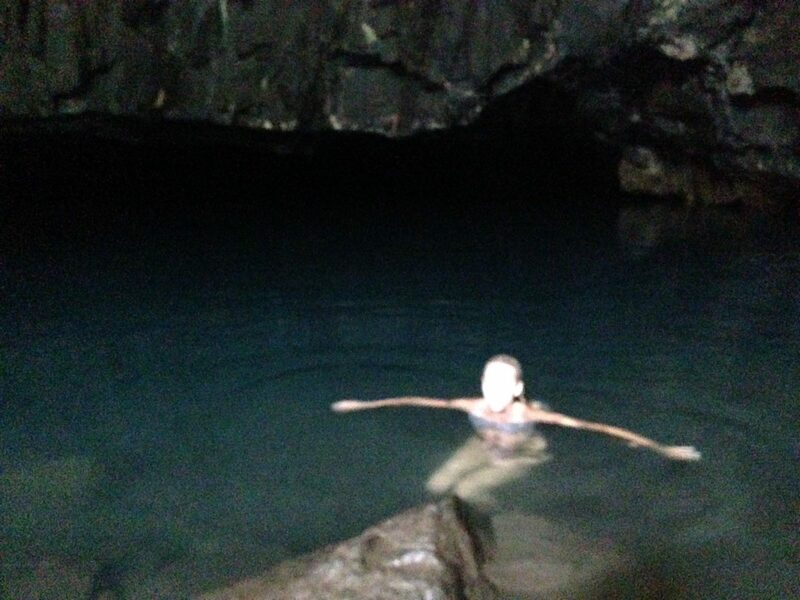 Swim a beautiful watering hole with cascading waterfalls of crystal clear spring water! Smell the fresh ginger and bountiful vegetation that is all around you! Preparation: Wear hiking shoes, bathing suit and bring water and a snack. Camera is a must for taking pictures of all the fairy being that show up and you will want to capture on film! Enjoy a peaceful time right on the beach as you learn how to let go and relax. Hear the sounds of the ocean, listen to the peaceful songs of the birds, and find an inner peace like you havent experienced before. Whether you meditated before or this is your first time, all levels are welcome! Preparation: Bring towel or mat to lay on. Travel to south shore where the sun always shines! Walk onto a beautiful beach and hike along clifts that hug the water’s edge. Feel the dragon’s breathe as it litterally knocks your hat off and listen to its roar! As we go into a clearing, come out onto a beautiful stone labyrinth built by a man for the love of his dear departed wife. We will walk the labyrinth as we meditation on our own departed loved ones and the current loves in our life. Enter into the belly of Mama Kauai. Travel down into a sacred cave, Lay on the floor while listening to crystal bowls, sound healing, tuning forks and more. Look up at the ceiling as magical images come to life. Feel your heart open. Release all that no longer serves and invite what you are wanting to receive. Then enter the water as you are reborn into the new you that wants to come through! Preparation: Need to be a good hiker and wear hiking shoes and a bathing suit. Bring towel, water, snack and your intentions of what you are wanting to let go of in your life.